No overnight stay or weekend away is complete without this washbag. 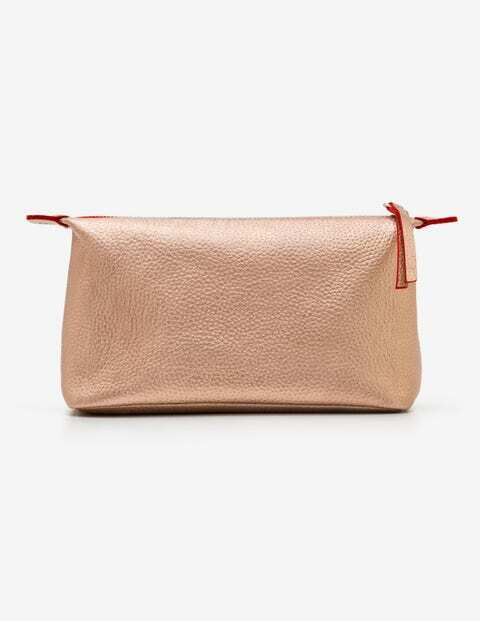 Crafted from metallic leather, it’s the perfect size to fit all your toiletries and has a waterproof lining to protect from shampoo spills. Need a present for a stylish friend? How’s this for a luxurious gift (if you can bring yourself to give it away).